Hi everyone! 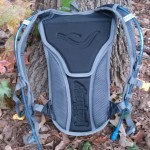 Today I’m going to talk about a new (new to me) hydration system called the Jetflow and a chance to enter their giveaway! Water is one of the top essentials we need everyday. Whether we are in the office or out in the field. When out in the field, last thing I want is having to fiddle with a hydration system, loose parts or get in a situation where the hydration system fails. In the past I have used bladder system packs. We all know how much fun they are to clean. not so much eh? 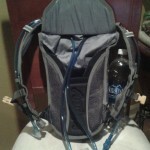 I have a camelbak I bought a couple of years ago thinking I would use it when I go for state guard training. Besides having to clean it – I’m not a fan of its weight and bulkiness. Needless to say the camelbak usually stays lonely hanging in my gear closet. For the longest time now I been carrying plastic water / Gatorade bottles. I’m a fan of re-purposing and recycling. I like reusing certain plastic drinking bottles till no longer usable then it goes in the recycle bin. Plus biggest factor for me is nothing can fail when using a plastic bottle to carry water. When I saw the Jetflow system it was very intriguing since this hydration system uses a water bottle instead of a bladder! – Two hoses connect to a tube shaped hard plastic called the manifold (4” long). One tube delivers liquid to the bite valve and the other releases vacuum pressure through the Jet Valve. 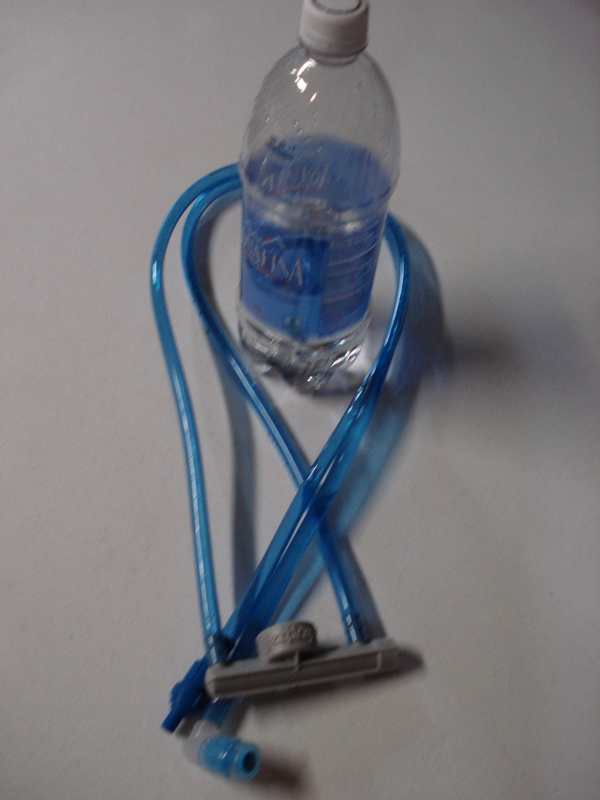 – Attached to the center of the manifold is a threaded cap which holds standard plastic bottles. – Also included is two adapter caps. The cap in the manifold & adapter caps can hold quite a variety of bottles. 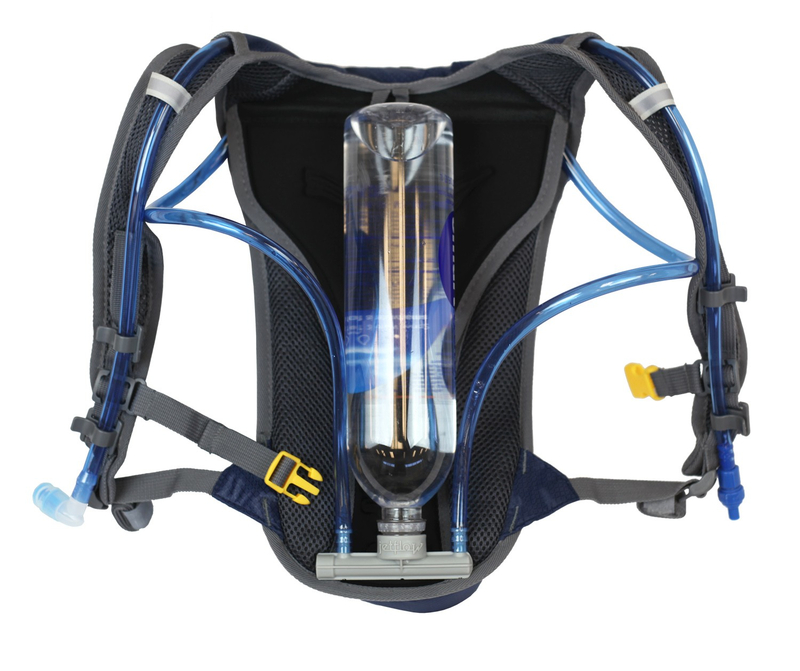 Here’s a listing of bottles on the jetflow.com website showing compatible bottles that work with the Jetflow hydration system. – whole system. Jetflow + Tomahawk pack = 15 5/8oz. My observations. When I first opened the jetflow here’s a few things I noticed. – The valve on the air intake unscrews. 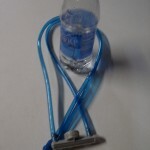 – The bite valve is a soft clear silicone type material which is comfortable & easy to drink from. 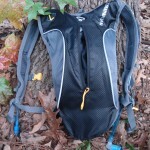 – There’s no on/off switch on the bite valve like my Camelbak has. – It seems fairly easy to pull apart the Jetflow to clean. Only a few attach points between the hoses, manifold, bite valve & air valve. – Overall a very simple system. I took an Aquafina bottle and screwed it to the cap built into the Jetflow. 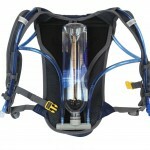 Then placed the bottle upside down inside the Jetflow Tomahawk pack. Attaching & detaching a bottle to the Jetflow manifold only takes seconds. This will make for quick easy refills when out in the field. Getting the water to flow through the bite valve was easy when drinking. I squeezed the bite valve with my fingers to see if water would flow out (similar to camelbak) Only the water that was left in the bite valve came out – otherwise water will not flow unless how intended when you drink from the bite valve. 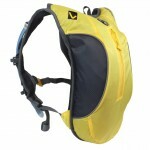 The Jetflow + Tomahawk pack is a great daypack. Wearing the Tomahawk pack for a walk this weekend felt good. After adjusting the straps to my size — It was comfortable on my shoulders. The tomahawk pack did not move around from the weight of the water. It was actually hard to feel the weight of the 1 liter bottle & a few items in the front storage pouch. I did test to see how an additional bottle would fit in the Tomahawk pack & that went well. 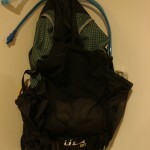 This particular pack can hold two 1 liter bottles easily. 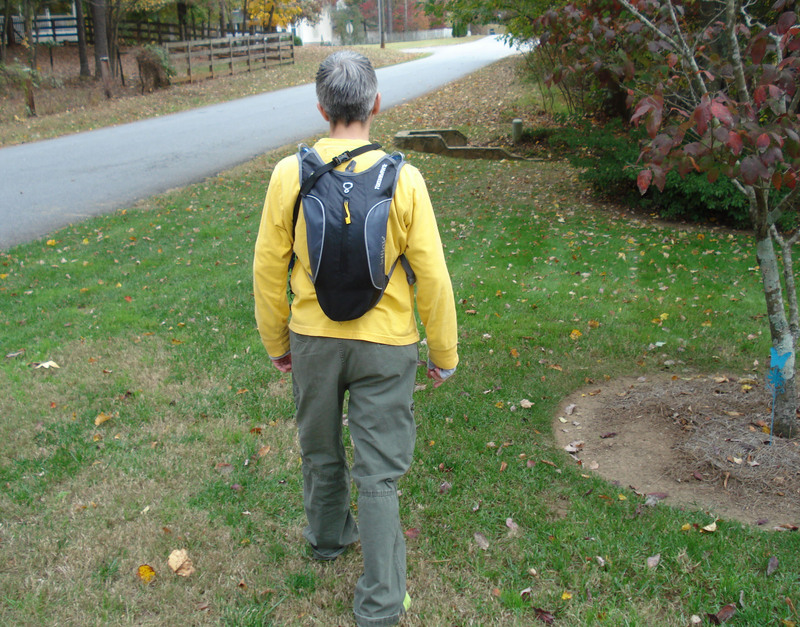 Going forward this system is a nice light weight compact kit for a long day hike – I can store my Sawyer Squeeze filter with a dirty bag in the back pouch. Along with the front storage of 250cubic inches that allowed me to add a wind jacket, sunglasses & a few snacks. 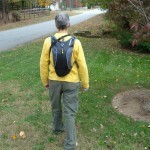 For longer trips the Jetflow system can adapt to other packs. 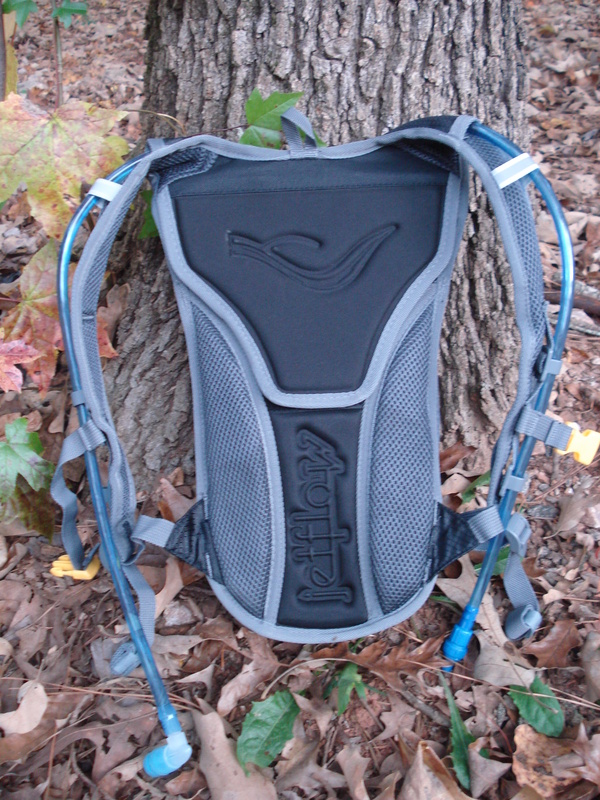 I use a ULA CDT pack and wanted to know that I can use the Jetflow with the pack I use on backpacking trips. 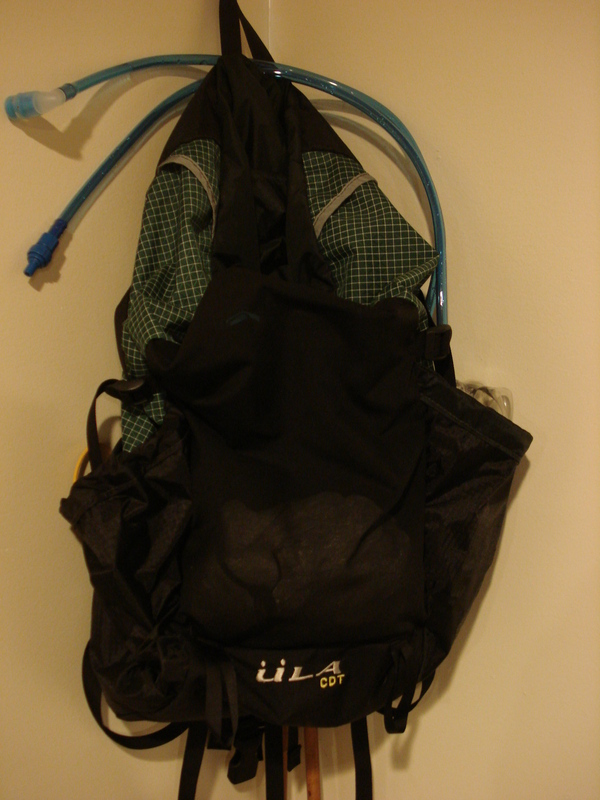 Here’s a picture of the Jetflow hydration system in the side pocket of my ULA pack. 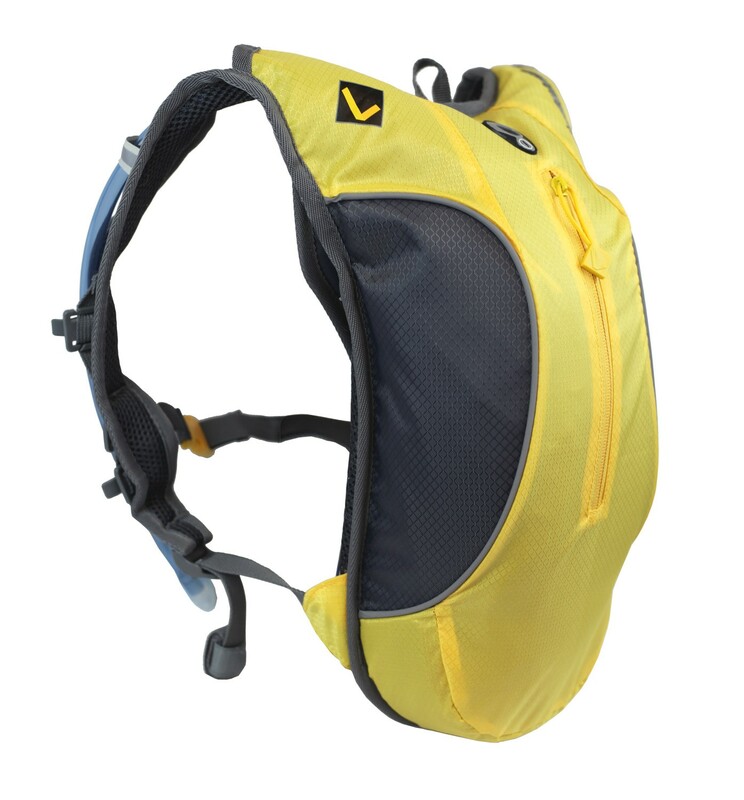 With this system it will allow me to still carry two 20oz bottles of water on the front straps (if needed) Along with storing the Jetflow in the side pocket. 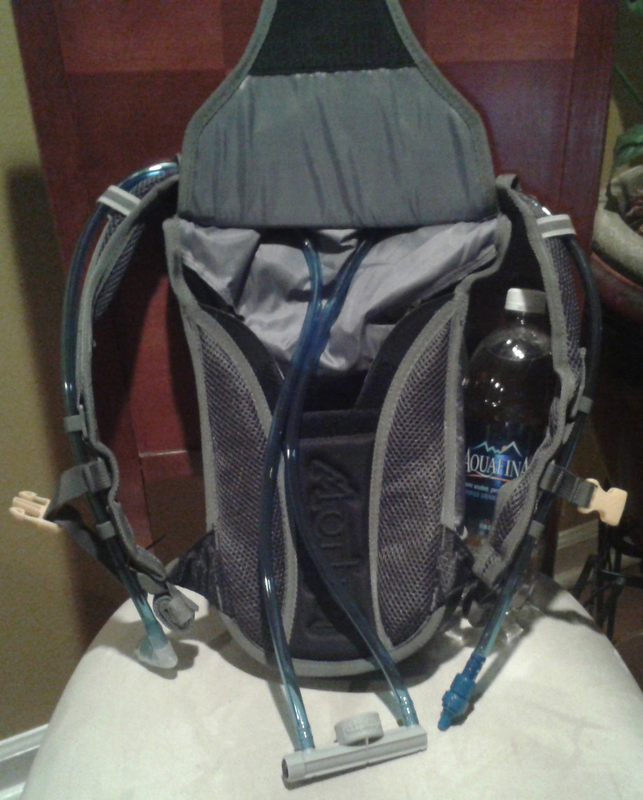 This hydration system seems to be very versatile with no fiddle factor & light weight. I used to dread carrying a hose system because of having to clean a bladder. 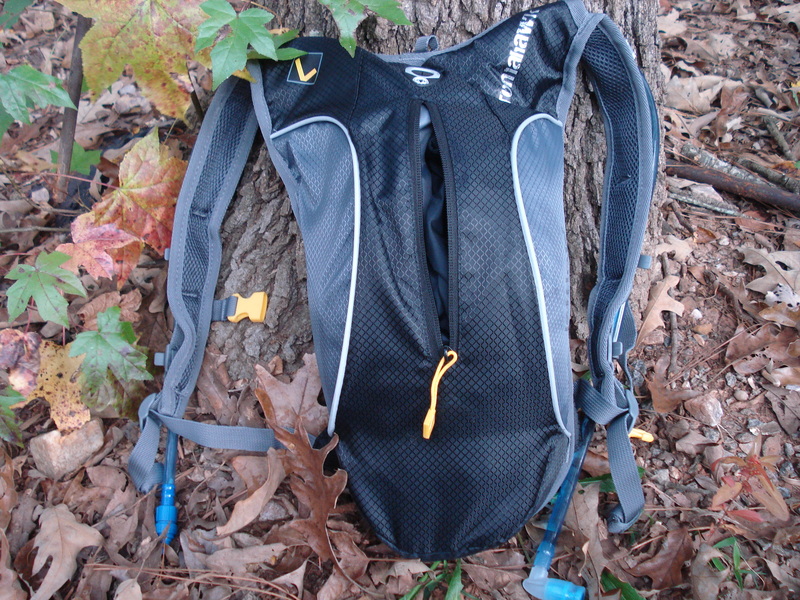 However I like the convenience of a hydration system – so the Jetflow will become part of my go to hydration system for day hikes & probably longer hikes. I’ll be sure to post some follow-ups in the near future after a few more hikes. If you’re thinking about changing or adding to your hydration system, you can learn more about this system & other products on the jetflow.com website OR feel free to leave a post here if you have any questions. PS. below are specs from the manufacturers site about the Tomahawk pack I used. 2. easy to use and clean. How to enter? Simply place your entries in the app below. Good luck everyone! I love JetFlow!!! Awesome system!! !